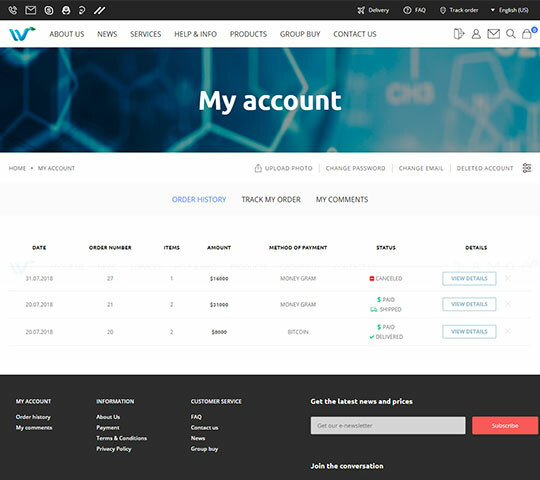 The visual component of the project is implemented in neutral colors in order to focus the user's attention on product images. Under the background was chosen classic white, simplifying the perception of the text. 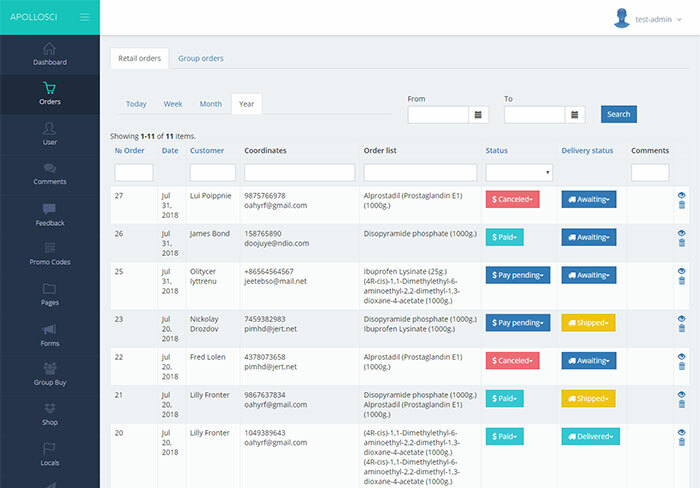 In the personal account, the user can view the history of their orders, their status, payment details. There he has the opportunity to track the location of the goods in real time and see all the comments he left on the site. 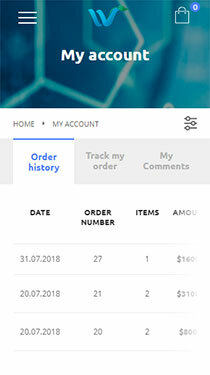 In group-buy module, users can join a group of people who want to buy one product in order to make a wholesale purchase together, which is why the price of goods for one person will be lower than the retail price. The number of Internet users of mobile devices is growing daily, so a modern website simply cannot exist without a mobile adaptivity. 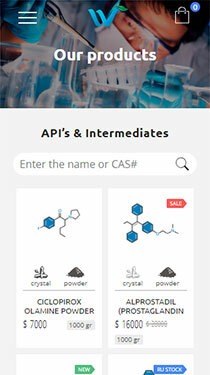 I was needed in a short time to implement an online store of chemical elements that would deliver worldwide. 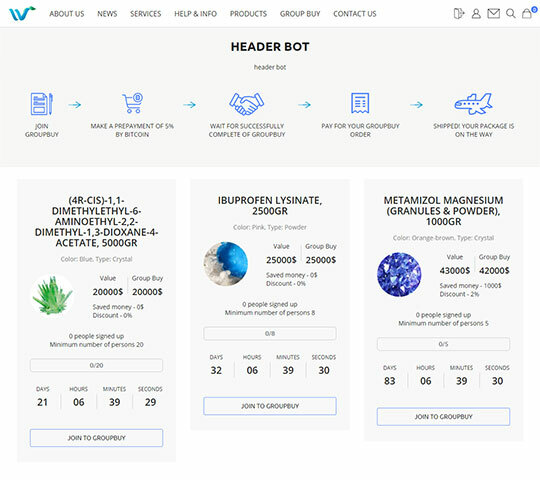 The project is quite complicated, I wanted the sitethat will be multilingual, work quickly and so that users can merge for a group purchase. Alexey immediately suggested options for how to implement this and outlined the terms, which I was very pleased with. From the first day of cooperation, the DevITeam specialists demonstrated high professionalism and a responsible attitude towards solving the tasks set. 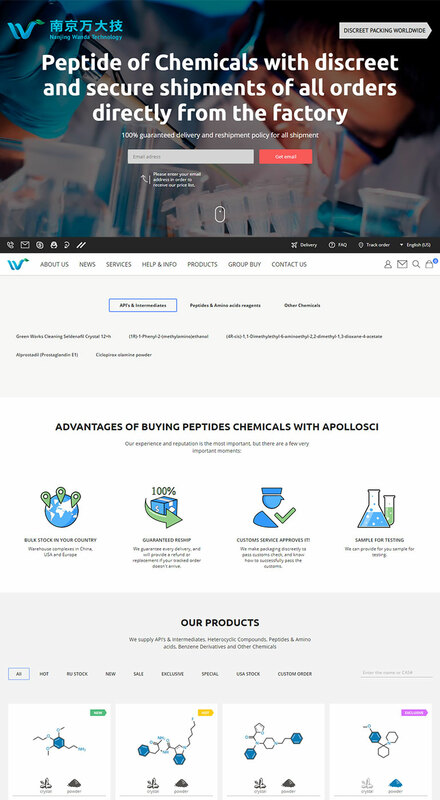 Thank you very much for your work, I am pleased with the result: fast loading, adaptive version, site functionality, and in particular the implementation of the group purchase module. Special thanks for the pleasant atmosphere, prompt responses to my requests. Who needs a high-quality and professional website or another project in the field of it, I recommend "DevITeam"! Thank you for your application! We will get back to you as soon as possible!